Sixth Additional Chief Metropolitan Magistrate V Jagadeesh posted the petition to Wednesday for orders. A court on Tuesday reserved orders on the bail petition filed by mining baron and former state minister G Janardhan Reddy, arrested in connection with a multi-crore ponzi scheme case. 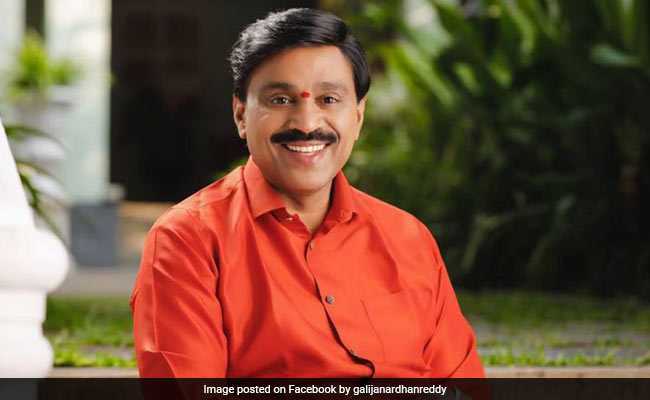 G Janardhan Reddy was arrested Sunday after a marathon questioning in connection with a money transaction worth crores of rupees allegedly linked to a ponzi scheme. He was booked under various sections of the Indian Penal Code and the Prevention of Money Laundering Act, and remanded to judicial custody till November 24. When the petition came up for hearing, Janardhan Reddy's counsel R P Chandrashekar submitted that his client had no connection with the ponzi case and he had not cheated any investor. "The irony of this case is that the accused number one -- Ahmed Fareed of Ambidant Marketing pvt Ltd -- is roaming free on bail and my client (Reddy) has been sent to judicial custody," Chandrasekhar said. Ambidant is accused of cheating investors of crores of rupees after promising hefty returns on deposits. According to police, Fareed has claimed that he had struck a Rs 20-crore deal with Reddy's close aide Ali Khan because he was promised help by Reddy in connection with an Enforcement Directorate probe into the ponzi scheme case. Chandrashekhar also submitted that the Enforcement Directorate had also been dragged needlessly by the Central Crime Branch in the case. Reddy has claimed the allegations against him were part of a "political conspiracy". Reddy, a minister during the previous BJP rule, was arrested by the CBI in 2011 in an alleged illegal mining scam case and granted bail three years later.